Poor Spider really wants to be a family pet. But the family he lives with are terrified of him. Whenever he tries to show them what a great pet he would make, they simply cry, “Aaaarrgghh, Spider!”. Exploring themes of tolerance and misunderstanding, this quirky, comical picture book has a thought-provoking message and an enormous heart. Aaaarrgghh Spider! Get Spider Home. Can you find the right web to get spider home? Can you find two spiders that look the same? It’s so funny, it makes me laugh. I like the glitter on the spider webs. I love love it! 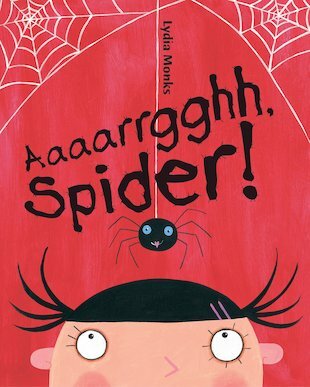 It is funny when they say ahhhh spider and he makes a lovely sparkly web at the end.